Your iPad offers the program “Safari” as a web browser. One of the cool features Safari offers is the reading list. This allows you to save articles or websites you wish to read on a temporary basis. Unlike bookmarks, a reading list is able to be deleted as soon as you are finished with the material. Therefore, these reading lists are temporary files taking up valuable space on your iPad, and sometimes even reveal your privacy. As a result, it is important to clear iPad reading list as often as possible, to allow your iPad to run at its maximum capacity and protect your privacy. 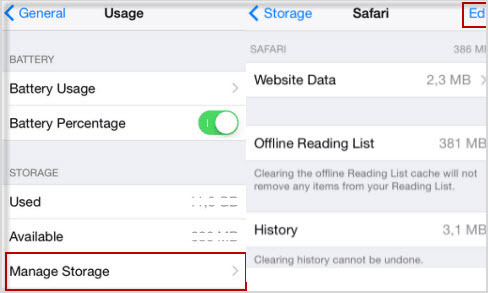 Safari offers two options when working to clear reading lists from your iPad. First you can choose to clear only the content you have read, and its associated content. More often than not, most people wait until they have read numerous items from the reading lists before clearing anything. At this point, it is best to just clear the whole reading list or all of your reading lists and start fresh. This is very easy to accomplish and built right into your iPad settings. There are also two options to accomplish this. Three simple steps and all of your browsing history and your reading lists are cleared to help your iPad run much more efficiently. This allows you to clear all Safari history as well. Step 3: Click on Storage and iCloud Usage. Step 4: Select Manage Storage. 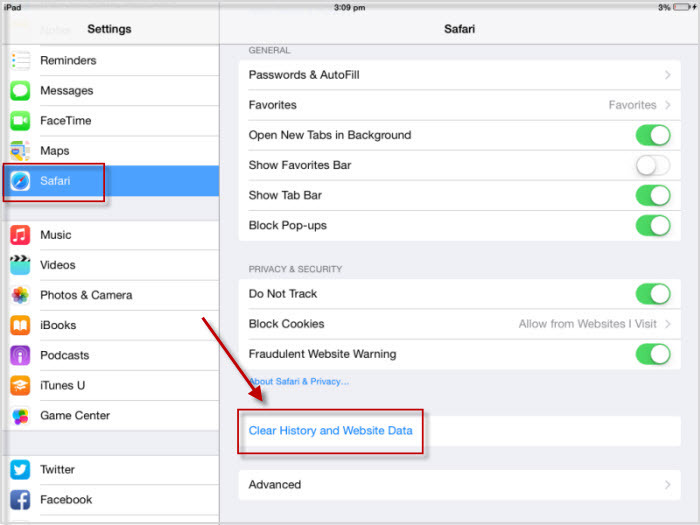 This is the best used to clear all of your browsing history on Safari from your iPad completely. In genera cases, there are two main reasons why people want to clear reading list on iPad. The first one is to protect their private data. As the reading list are private data, such as safari history and website data. Even you have deleted them from safari or by using iCloud, there are much recovery software can retrieve them back. The other one is to free up space. Too much reading lists will eat up a lot of storage, and make your iPad running slower and slower. Thus, it is very important to find methods to deal with these kinds of problem. 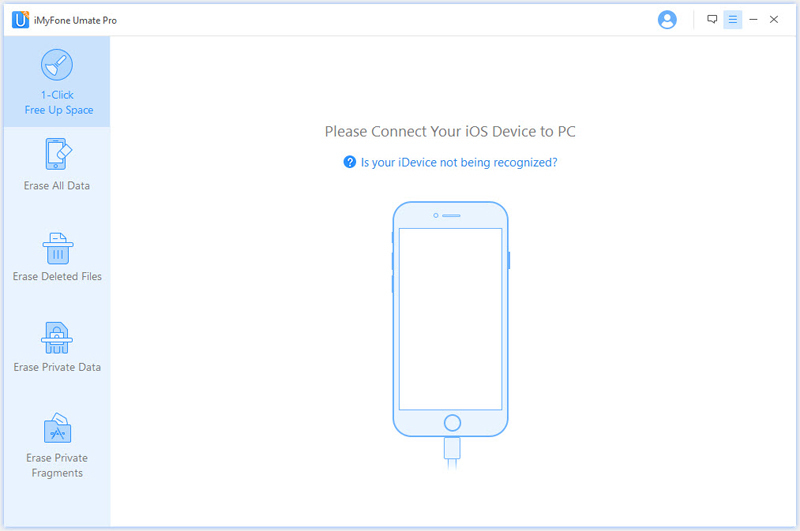 Download iMyFone Umate Pro on your computer, install it and then connect your iPad. After the software recognize your iPad, select “Erase All Data” mode. Click the “Erase” button and then type "delete" into the box to confirm. Kindly note that as this function aims to protect your privacy, it will not only erase the reading list, but also all of your data. No matter they are useful or useless. iPad memory is a very precious commodity. Therefore, finding ways to effectively clear space on your iPad is essential knowledge to every iPad owner. Besides iPad clear reading list, iMyFone Umate Pro offers this service of effectively for free up space. The 1-Click Free Up Space option is easy to understand and even easier to use. First, connect your iPad to your home computer using the USB connector cable that came with the iPad. Make sure you open the iMyFone Umate Pro software on your computer. Second, allow iMyFone Umate Pro to scan your device for any and all files and information which can be removed. Third, select the information you want removed and allow the iMyFone Umate Pro software to complete the task. This allows you to free up space without any remnants of information left behind. First, it allows to you compress and transfer all photos and videos from your iPad to your computer. By compressing the photos, you save storage on your computer and your iPad. Then, transferring the photos through a secured transfer program protects your data and allows you to store it safely and easily. Additionally, this software allows for large data files and unused apps to be deleted securely, ensuring them not using any valuable space. 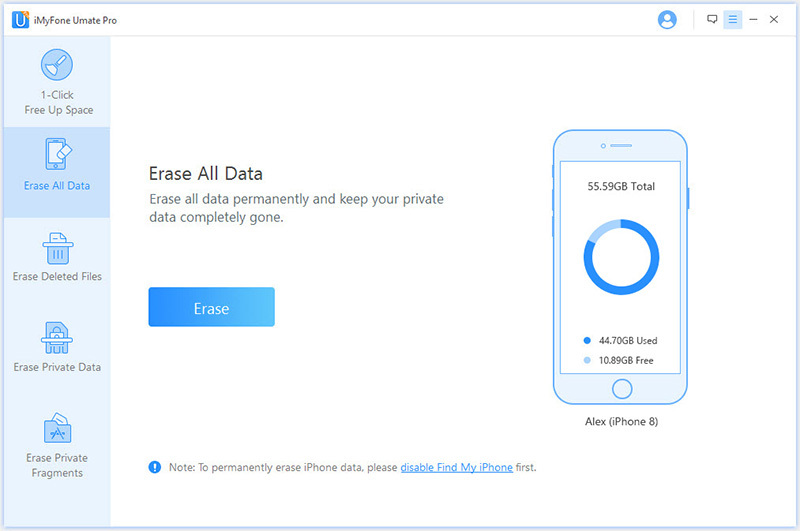 In addition to deleting and managing files and apps, this software will allow for personal, private data to be removed efficiently, protecting your privacy and keeping your family safe from hackers and other criminals. It also offers proprietary technology that wipes your iPad clean of any traces of you or your family. It allows for secure backup to your PC or MAC, prior to removing it from your iPad forever. 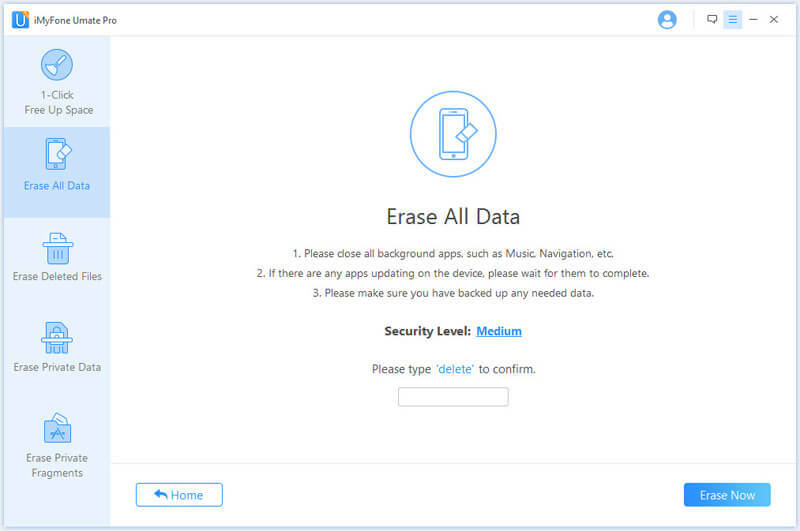 Once you have used this program to erase your iPad, no data will be able to be restored and any new user will never know you existed.